The town of Ravenswood isn't as it appears to be. It's one of the Devil's playgrounds. A place where the lines between the living and the dead blur. Where demons walk freely and where those who dare to enter are often never seen in the land of the living again. Laura Winfield--a new recruit for Team Light--has been sent by her bosses to gather information on the town and on a certain demon. This novella is a very fast read. 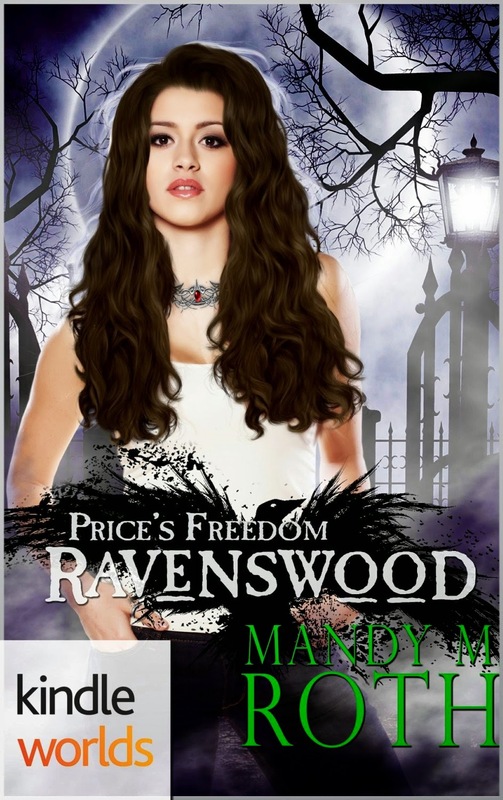 The town of Ravenwood is not all what it is cracked up to be. It is the devil's playground and the perfect battle ground for good and evil. This is the first book I have actually read from Mandy Roth . I really enjoyed reading this novella. Even though it was only 37 pages long it was a good read with a twist. Her characters are well written and you see the fight between the good and evil . You also see the war being raged between the two main characters. They want each other even though one is good and the other is evil. It also has the pretense of the good girl and the bad boy from the wrong side of the tracks.